I came across these cupcake on Google+. When I clicked through and saw that Carla described these cupcakes as tasting like pie crust, I was intrigued. 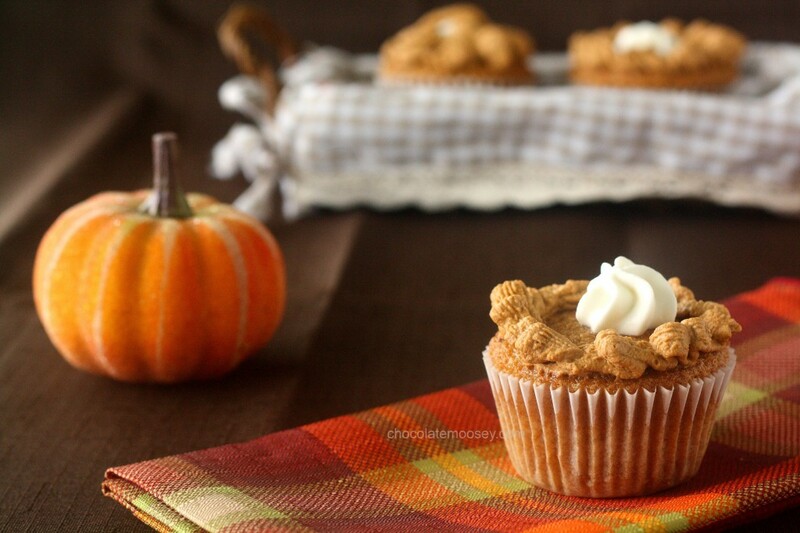 Pie crust cupcakes! Why didn't I think of that? There is pumpkin in the batter and they are topped with whipped cream she cleverly tinted brown. The perfect pie-like addition to your holiday table. Check out Carla's recipe for these cupcakes at Chocolate Moosey.